When it comes to updating the classics, Hasbro has been on a roll taking the games from my youth and giving them a modern twist. I love being able to tell my kids about my childhood and introduce them to the new versions of titles such as Jenga, Battleship, Bop It!, Life and more. The newest timeless game to be added to the renovation list is none other than Yahtzee, with the 2013 introduction of World Series of Yahtzee. 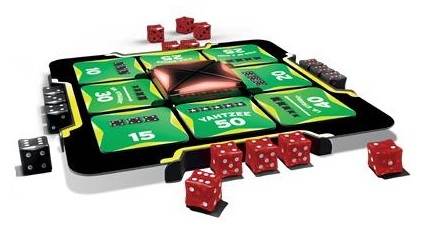 Taking the original concept of Yahtzee (rolling the same number on all five dice) and adding in action and excitement, World Series of Yahtzee is a fast-paced, casino-inspired, face-to-face dice showdown, where everyone rolls together and tries to match their dice to the Yahtzee game combination cards on the board. Forget sitting around waiting for your turn and tediously marking down each combination that is rolled, this is Yahtzee for the new millennium! Upon opening the box, we found that World Series of Yahtzee includes 20 dice, 22 game cards, one electronic unit, one game board, four barriers and a game guide. 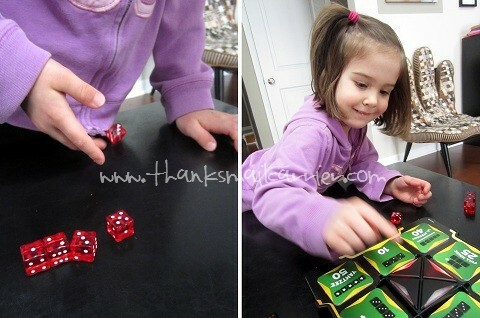 Once we had everything assembled and two AA batteries installed (not included), we were ready for some supercharged dice rolling. 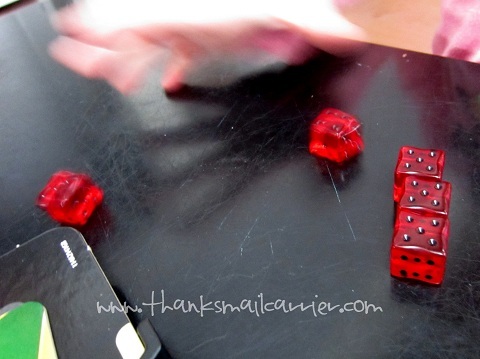 In this new Yahtzee, everyone rolls at the same time — fast! — as they try to match one of the combo cards that are dealt onto the game board. Everyone keeps rolling until someone makes a match and is therefore the first to lock-in and start the electronic timer. 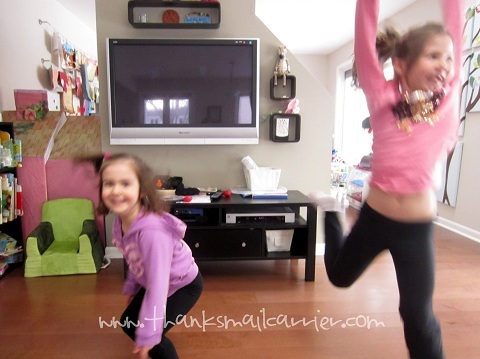 Not only have my girls liked the act of starting the timer, but the catchy, jazzy music that plays for the following five seconds always makes them jump up and do a quick, crazy dance! When everyone has stopped rolling for the round, players who have made a match grab their card (in the order that they locked in) and the highest score at the end of the game wins! Providing fast-paced entertainment, skill, strategy and luck, this innovative game is a great addition to any game library. Designed for two to four players ages 8 and up, World Series of Yahtzee has been a unique way to add laughter, a little suspense and a whole lot of speed to our Game Night. Whether played with two or at a party with four, there is fun to be had when this game is involved! 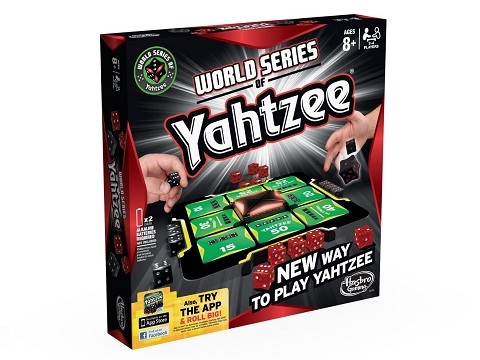 World Series of Yahtzee retails for $19.99 and can be purchased directly from Hasbro, on Amazon, in stores near you and more. You can also keep up with all things Game Night by connecting with Hasbro on Facebook and Twitter. 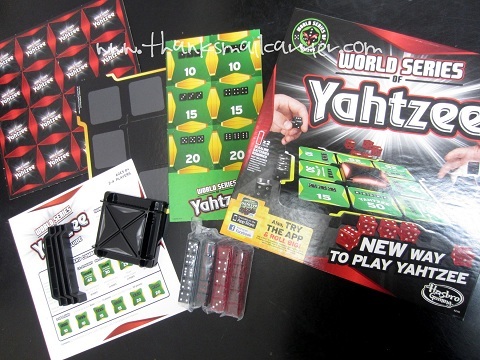 One lucky person will win World Series of Yahtzee from Hasbro! 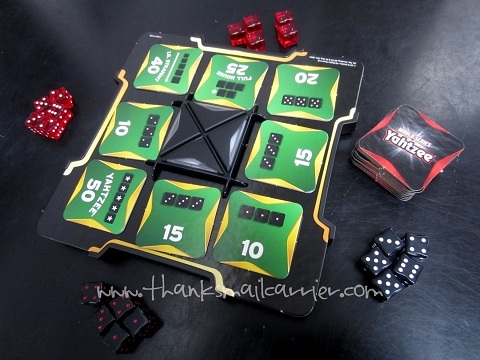 A big thank you to Hasbro for providing World Series of Yahtzee for me to review as well as for one lucky giveaway winner. The opinions shared are my own and honest and if you really need to see more, click here to see how I roll. I like 3, and for some reason, I constantly see 4:44 come up on the clock all the time. 21 is my favorite number. LOL. My favorite number is also 4. Always has been. #7 has always been my favorite number. I like the # 3. My fave is 13. Oddly enough, I despise the number 6. Thanks. I like 25 because it is my birthdate. I like the number 12 because both my mom and I were born in December. My favorite number is 3. Thanks so much for the fantastic giveaway! I have always loved the number 169. It's 13 squared. I think the number 13 is lucky so why not square it? 11 is my favorite number! My favorite number is 21. I know it's supposed to be unlucky (or evil - I can't remember which) but I've always liked the number 6! 8, for my birth month. I have always liked the numbers 51 and 23. 8 - because it's my birthday. Number 7. I know it's a very standard "lucky number," but when I was in elementary school my last name started with a G and I was always assigned #7 every year in my class. I like 4s and multiples of 4. 4, 8, 12, etc. Always have done. 27 is my favorite number! It's also 4, I even have a tattoo of it. My favorite number is 4 as well. I love the number 13; I think I like it because everyone else does not. I don't know about a favorite number, but 11:42a always comes up on alarms and when I notice a clock. Creepy. I have never thought about a fav number, so I am going to say 3 cuz that's how many kids I have! I like the number 11. I like 8, its cute.. I like 11-All 3 of my kids were born on the 11th of different months.